Solid Surface Sheets is mainly used in the following industries and fields.KingKonree is dedicated to providing professional, efficient and economical solutions for customers, so as to meet their needs to the greatest extent.KingKonree introduces advanced production equipment at home and abroad. In the production, we insist on fine manufacturing and precise cutting to ensure that every product has smooth line. We try hard to avoid unnecessary flaws, only to provide customers with good user experience. KingKonree has the ability to meet different needs. Solid Surface Bathtub is available in multiple types and specifications. The quality is reliable and the price is reasonable.KingKonree introduces advanced production equipment at home and abroad. In the production, we insist on fine manufacturing and precise cutting to ensure that every product has smooth line. 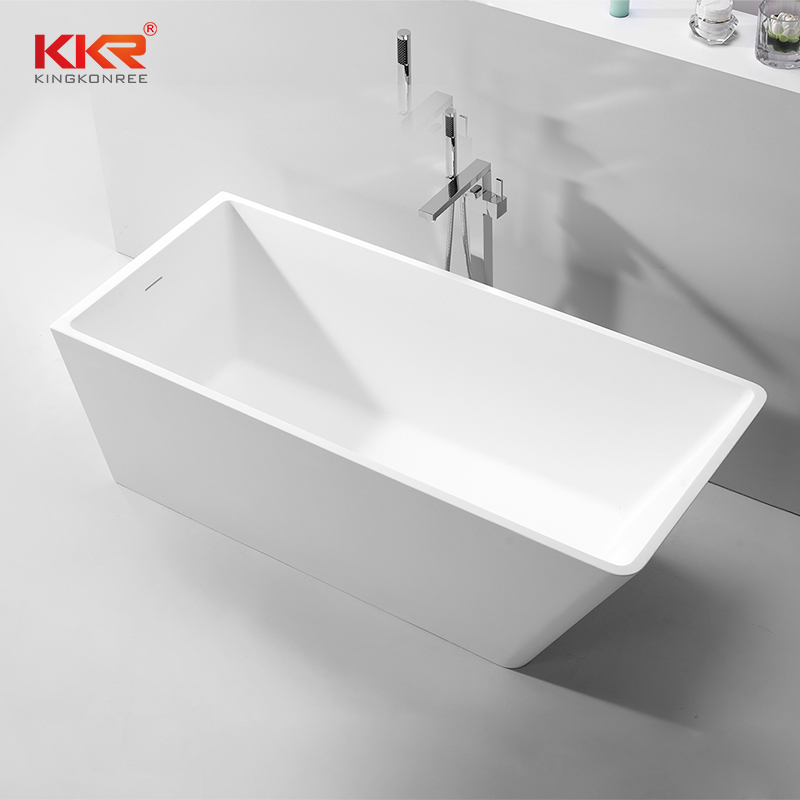 We try hard to avoid unnecessary flaws, only to provide customers with good user experience.Compared with other products in the same category, Solid Surface Bathtub has the following competitive advantages. 2. KKR artificial stone varies in color and type. Man Made Stone Bathtub is a new type of solid surface bathtub,modern bathroom tub with the characteristic of most comfortable freestanding bathtubs. 5. KKR artificial stone can be customized. taking into account the company's existing advantages in the international market, KingKonree's future development prospects are worth looking forward to. 1. With abundant and rich resources, KingKonree has been the top solid surface bathtub exporters. 2. KingKonree International China Surface Industrial Co.,Ltd has numbers of excellent engineers and mould-making technicians, which make a strong research and development ability. 3. We are striving to be the trustworthy partner of customers by our Solid Surface Freestanding Bathtub. Inquire now!